Southern Graphics | Where is Paperwoman? Fresh from our trip to the annual Southern Graphics Council print conference, joint-hosted by the University of Wisconsin-Milwaukee, the Peck School for the Arts and Milwaukee Institute of Art and Design, we were bubbling over with all the printmaking fervor . Here’s local blog-article about the conference. The icing on the cake was meeting our loyal customer and established printmaker, Larry Welo, who lives not too far North from Milwaukee. Larry made the trek down to meet and to discuss paper and printmaking over dinner. So in honor of everything printmaking, and a little Aiko’s connection, we share with you our chat with Mr. Welo. Printmakers take note! You may take away very interesting tidbits of information regarding Japanese paper and printing techniques. PCI: So good to finally meet, Larry! Tell us a little about yourself: What kind of artwork do you do? What attracts you to working with paper and what do you like best about working with it? 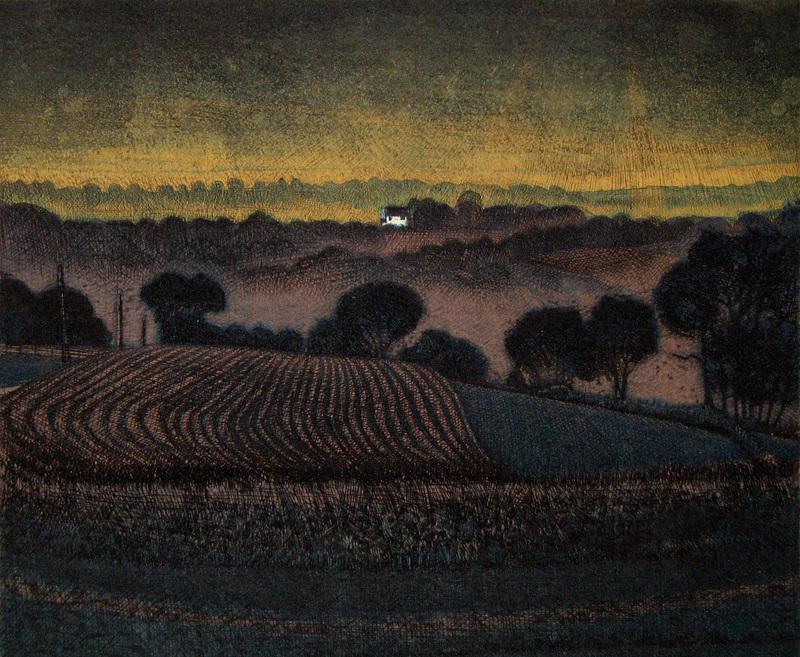 LW: I have worked professionally as an artist printmaker since the mid 1970s. 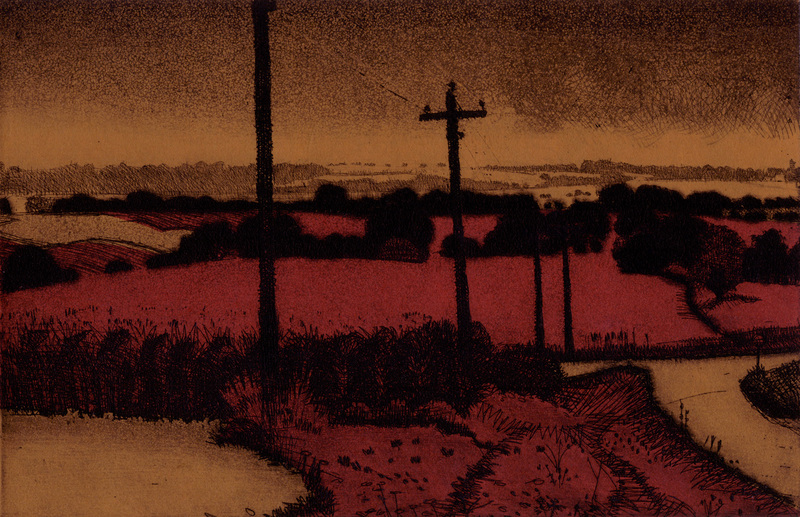 I fell in love with printmaking (etching in particular) when I was a student. I decided that this would be my career. There was no great logic to it. I was idealistic, and knew that this is something that I can do better than anything else. I did not really care about the realities of life…making money etc. Art was my passion as a child, and, as a college student I realized that it would become my profession. I drew a lot with pen and ink, and etching was like that, but there was such a depth to the images. It was the line work, the look of aquatint, the plate tone on the image and the embossment that had immense appeal to me. Paper is one of the vehicles for etching. It is of the utmost importance. 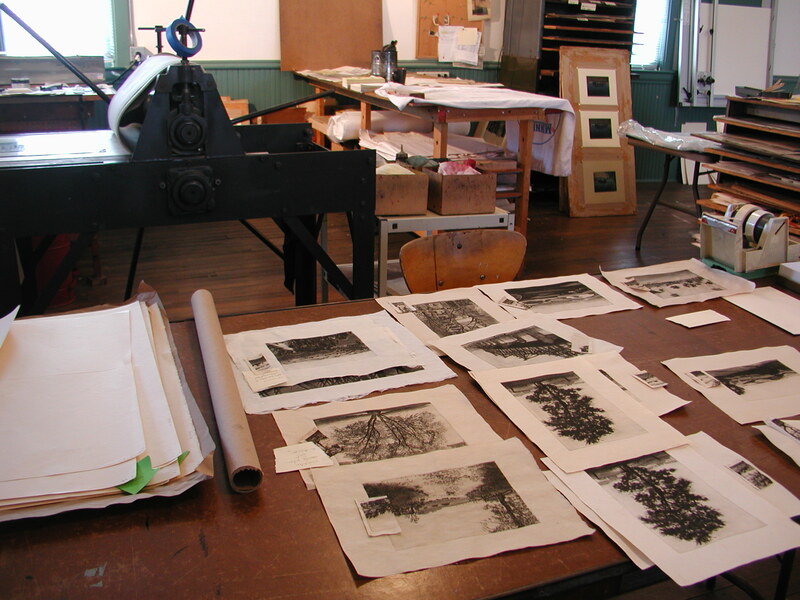 There are many steps involved in creating an etching, but it always ends up being printed on paper. Over the years, I have used a large number of different papers. I quickly learned that they are vastly different from each other. It is up to the artist to decide what works best and will work with them to give the best results. In the early 1980s, I visited Aiko’s Art Materials in Chicago for the first time. I was living and working in Minneapolis at the time. 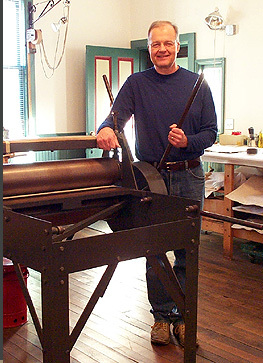 I knew that there were other printmakers throughout art history who preferred Japanese papers, and I was curious. I began purchasing papers from Aiko’s at that time. I tried quite a few of them. They had a large selection of dyed papers, which I would experiment with frequently. I figured out a way to use the dyed papers for chine colle that gave me consistently good and sometimes fairly elaborate results. I would cut out the papers and overlap them so that the cut out areas would allow the underlying papers, which were also cut out, to show through. It was a means of achieving colors without needing to use additional etching plates. PCI: Your results are beautiful. How did you hear about our company? LW: When Aiko’s closed, I received a mailing from Paper Connection. They carried an Aiko’s paper which I used frequently. It was Sakamoto. I liked using it with some of my multiple plate color etchings, and I missed no longer being able to find it. I became interested in trying other papers carried by Paper Connection. PCI: So you had a bit of exposure to certain Japanese papers. How did Paper Connection help widen out some of your knowledge on the different types of Japanese paper? LW: I received very good suggestions on what might work well for my intaglio prints. I carefully cut out pieces of the recommended sample book swatches, labeled them, laid them on an inked plate and printed on them. I determined which sheets I liked best and began ordering the sheets individually so I could give them more of a chance. 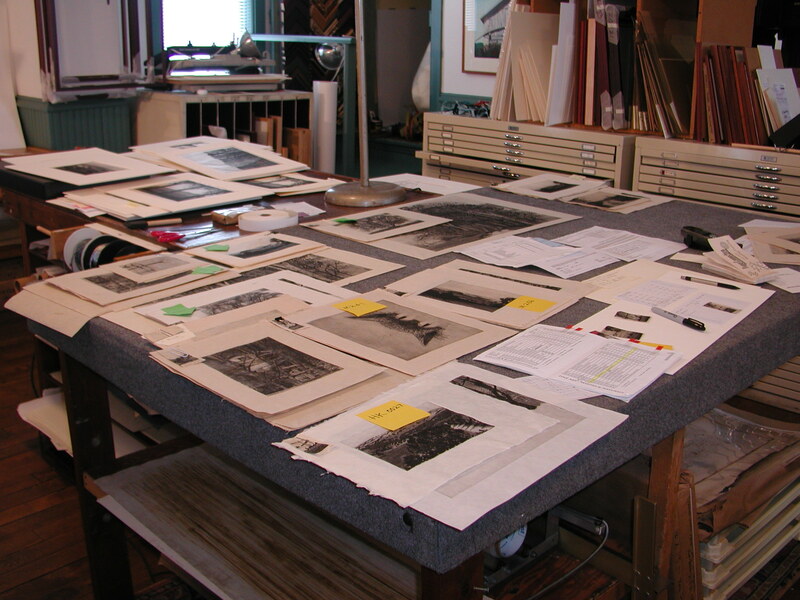 Attempting to organize the search for the perfect printmaking paper tests. PCI: We love how you put the samples to work! That’s great, as we are not printmakers ourselves. Any of your experimenting and feedback is what we want to hear about. So after all this testing out of our samples, what papers do you use of ours and for what process? What did you like about those papers that aids in your creative and/or technical process? Seeking the perfect etching paper tests. LW: Gampishi Sukiawase (M-0227) is my favorite paper. It is an expensive paper, and when I first tried it, I thought it would be only the one time. I was totally seduced by this paper, and have used it ever since. It prints like no other. 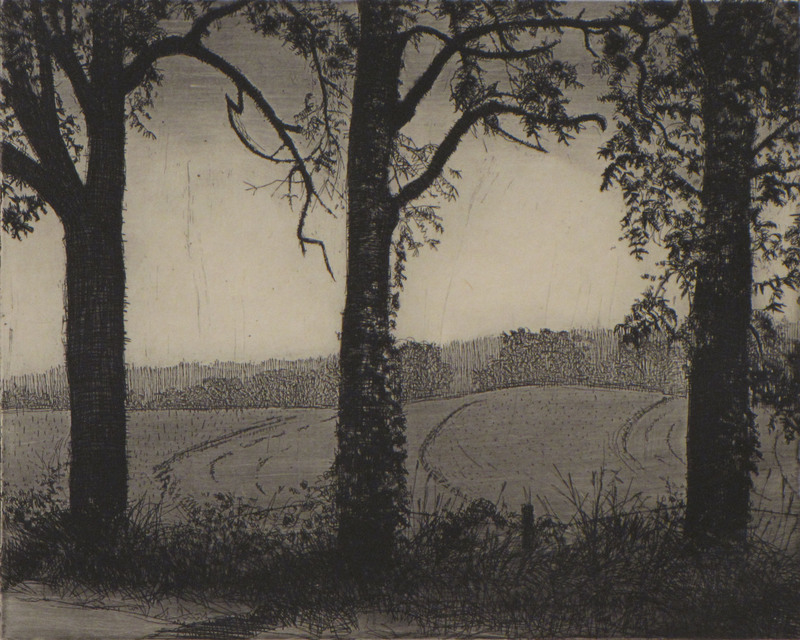 When I print an etching, I rely on manipulating the ink tone on the plate. The ink tone gives me more subtle value options. There are very few other papers that can print this ink tone well. This paper prints it like no other. It is a joy to print on. It is made with gampi fibers and is very strong yet very sensitive. Sakamoto Heavy (AI-224B) is another paper that I like. It is a very sensitive paper. Kozoshi Sized Heavyweight (M-0206) is also very nice to print on. It is inexpensive and has many of the desirable characteristics of some of the more expensive sheets. I hope to continue to try other Paper Connection papers…maybe the best one is yet to be found. Shady Characters, made with M-0227, Gampi. LW: The sheets are extremely sensitive. What I do to the plate when I am wiping it shows up on the printed image…everything. There is never any blotchiness. Everything is very clean, and I am able to get the full range of values (light to dark) that I seek. LW: I like Gampishi Sukiawase (M-0227) because it makes me seem to be a better artist than I really am! I call it the Stradivarius of printmaking papers. artist present or past, who would it be? LW: I would like to get inside Rembrandt’s head sometime. PCI: Agreed! We saw one of his Apostle series at the Getty once. Mesmerizing. Larry, thank you so much. We appreciate the time you took to respond to our questions, and even more so, we thank you for being such a valued customer, and artist who truly appreciates the art of handmade paper!. For more on Larry, check out his website here. Just back from Philly after attending the annual Southern Graphics Conference 2010. What a great show, full of great people, and innovative ideas for printmaking. Check out the fun here. Backed Gampi, of course, was a hit, as well as our exclusive Laurelai and An-Jing papers…we loved hearing the feedback from those who bought our papers at last year’s show. Any more comments we would love to hear! Thanks everyone at SGC for creating another memorable event.